A delicious mix of healthy entrees, snacks and sides make up this Healthy Weekly Meal Plan #38 for an easy week of nutritious meals your family will love! It has been a long week and the weekend is finally here. Time to rejuvenate! Well, that is after I have a photoshoot this morning, develop some recipes this afternoon and head out to celebrate a birthday this evening. Tomorrow. Tomorrow I will rejuvenate. But first, perhaps I should take down my Christmas tree and decorations…oh man. I am struggling these days. It is time to get it together! This meal plan is so helpful when I am in a funk and just need some reliable recipes that I can plan on for the week. Be sure to stop back every Saturday for your weekly fix of daily entrees as well as a breakfast, lunch, snack and dessert! Just click on the photo or link to see the recipe. 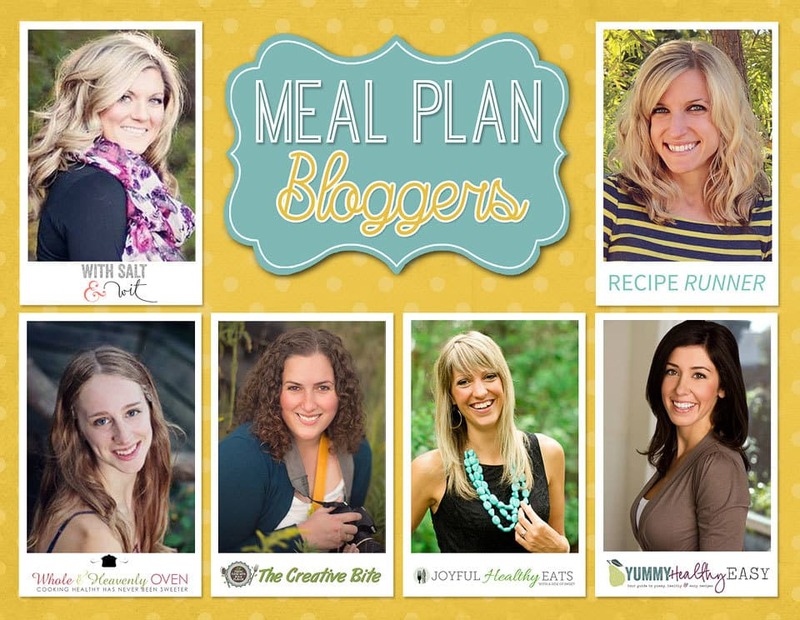 If you are looking for a great tool to organize your weekly meal plans, check out this meal planner ! 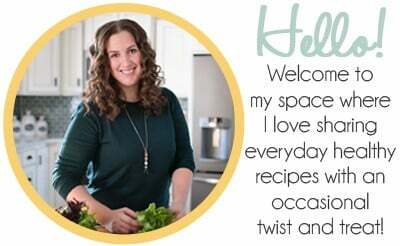 Be sure to subscribe to my newsletter HERE so you never miss a meal plan! An easy vegetarian meal your family will love! Spinach Lasagna Rolls filled with delicious nutrient packed filling, topped with marinara sauce and light amounts of cheese for only 159 calories a serving! 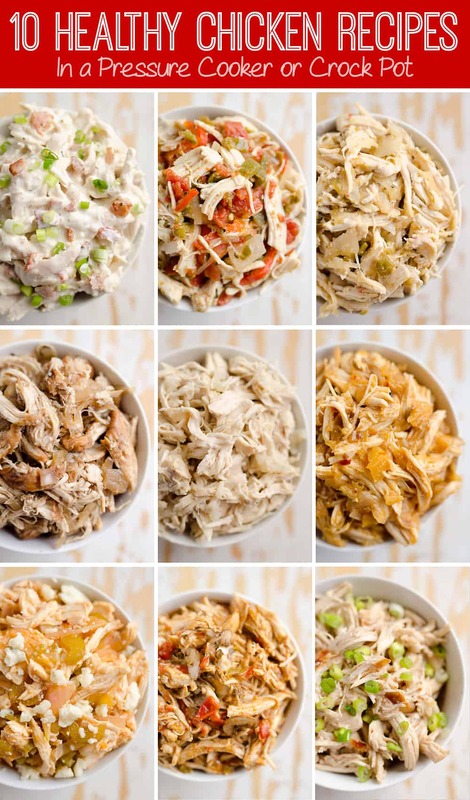 Change up Taco Tuesday with these Slow Cooker Hawaiian Pork Burrito Bowls! They cook all day in a homemade enchilada sauce then topped with sautéed peppers and juicy, seared pineapple! Put dinner on the table in 30 minutes flat with this simple chicken basil pesto pasta skillet that’s just loaded with healthy green goodness! Cheddar dijon baked pretzel chicken tenders are a quick and healthy weeknight dinner that will be a crowd pleaser paired with a creamy, homemade dijon honey mustard! Balsamic Dijon Roasted Root Vegetables is an easy and healthy side dish bursting with tangy balsamic flavor and loaded with sweet potatoes, carrots and onions. Healthy Grilled Shrimp Skewers with Mango Salsa is an easy and flavorful main dish that’s the perfect summertime meal! Skinny Biscuits and Gravy with Maple Sausage Gravy is a brunch favorite that has been lightened up with whole wheat biscuits, turkey sausage and a touch of maple in gravy! A delicious spring inspired pizza topped with asparagus, bacon, and herbed goat cheese! Lightened up, creamy and bursting with fresh lemon flavor, these Greek Yogurt Lemon Cheesecake Bars are the perfect dessert to make this spring! You will NEVER find a more amazing or easier soft pretzel in the world than these! This recipe is a keeper.—Top them with your choice of either cinnamon sugar or garlic herb salt. Avocado Chicken Salad Wrap – a perfect blend of avocado, Greek yogurt, chicken, celery, grapes, red onion & spices to make your lunch complete! This healthy recipe only takes a few minutes to whip up! An easy healthy Southwestern Steak Salad loaded with vegetables, tender Ribeye Steak and then topped with a homemade Cilantro Avocado Dressing! Done in 15 minutes, low on calories and rivals any restaurant salad! Find the Healthy Weekly Meal Plan Archives HERE!